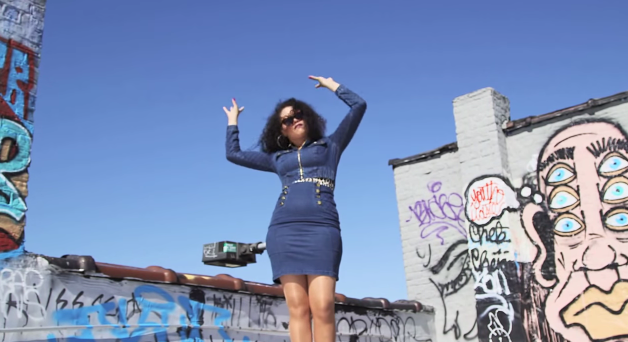 Muma Doesa has just released a brand new video clip for her latest single “La Vida Doesa” which was filmed in Brooklyn and The Bronx New York. La Vida Doesa is the latest single from from Muma Doesa’s album “Ms Fortune”, which is out on Turnstyle Records. The track was produced by Stay-Nice, with cuts by DMC Champ DJ Rellik. The video was filmed by Bobby Berry featuring Graffiti Artist and Bgirl Ladyk Fever (Founder: Bronx Graffiti Art Gallery). “La Vida Doesa” tells the story of Muma’s journey as an independent artist from her humble beginnings in Australia to performing and recording in New York – the birthplace of Hip Hop. Muma Doesa’s debut Album “Ms Fortune” has had airplay on U.S internet radio, She Radio, as well as appearing on U.S. websites and many more around the globe. The “Ms Fortune” album has also been played on Australian radio stations: JJJ,PBS on high rotation on RRR, and 3CR. You can get Muma Doesa’s debut album now, by following the link here.